We were curious to see how well the impact of eclipse viewers and travelers and the eclipse itself was shown in the One-Stop-Shop (OSS). Sure enough, their presence on and near the roadway was apparent. 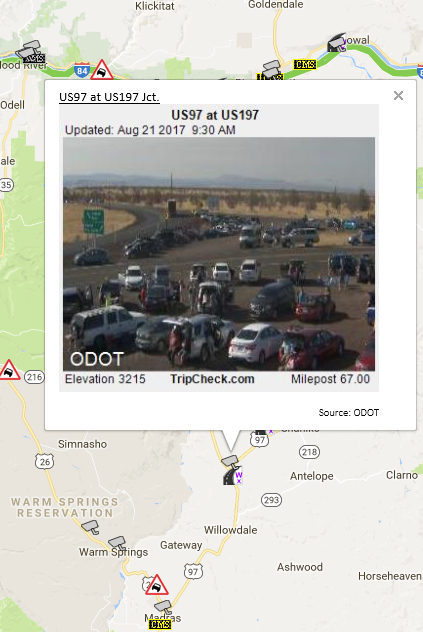 Cars were parked along US 97 at US 197 north of Madras, Oregon, several hours prior to the eclipse. 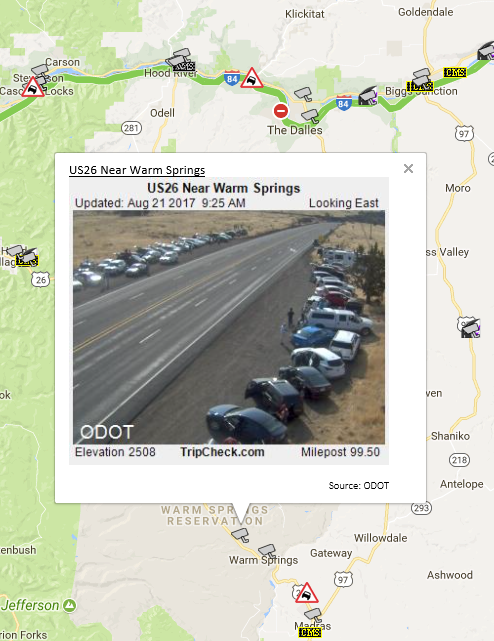 Parking was orderly along US 26 near Warm Springs, northwest of Madras, Oregon. 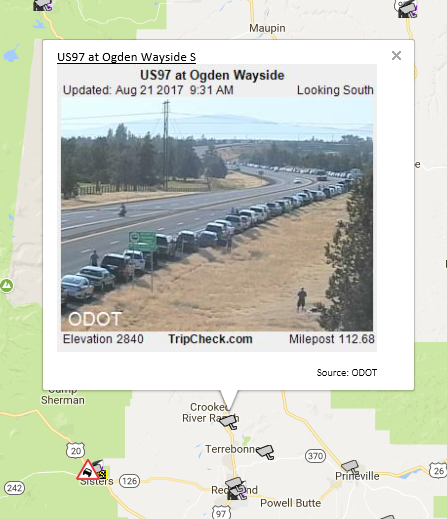 Parking also appeared to be orderly along US 97 at Ogden Wayside, between Redmond and Madras, Oregon, stretching along the highway as far as the eye could see. ODOT and other State Departments of Transportation displayed a variety of messages providing guidance to drivers. 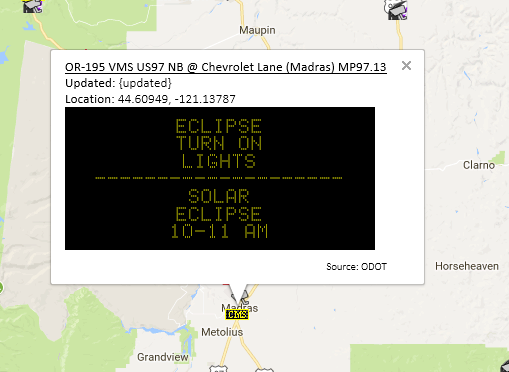 An ODOT CMS along US-197 near Madras advised drivers to turn on their lights in conjunction with the local time of the eclipse. 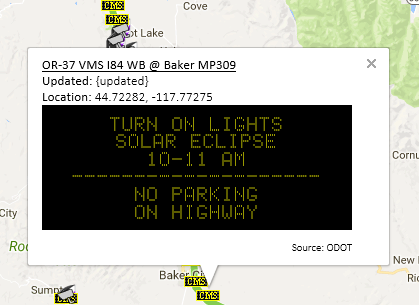 ODOT CMS messages along Interstate 84 near Baker also warned drivers not to park on the highway. 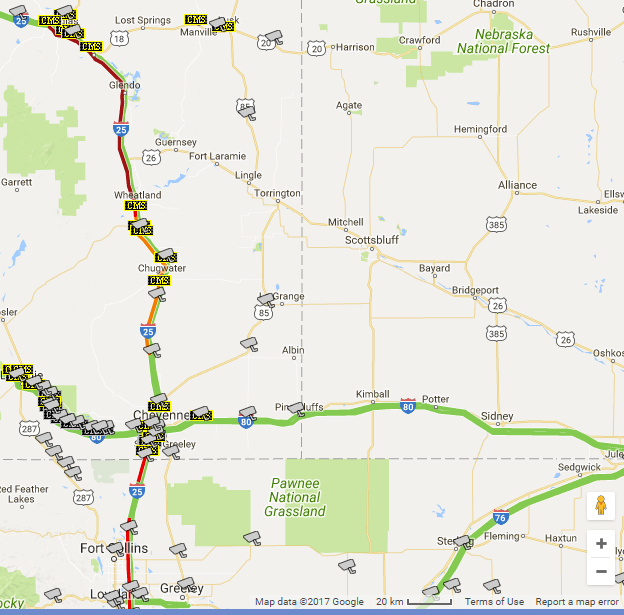 The Wyoming Department of Transportation also provided indications that access points were full, hoping to deter drivers from finding themselves with nowhere to go. 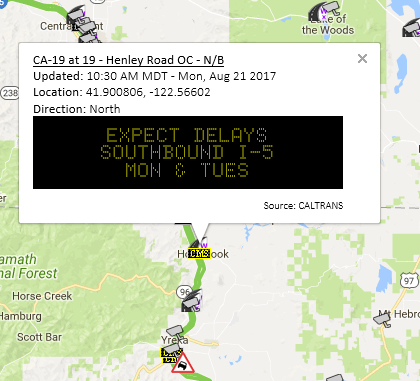 Even though California was far from the path of the total eclipse, heavy traffic was anticipated and corresponding warnings were posted. Finally, the eclipse approached and was evident in some of the CCTV images. 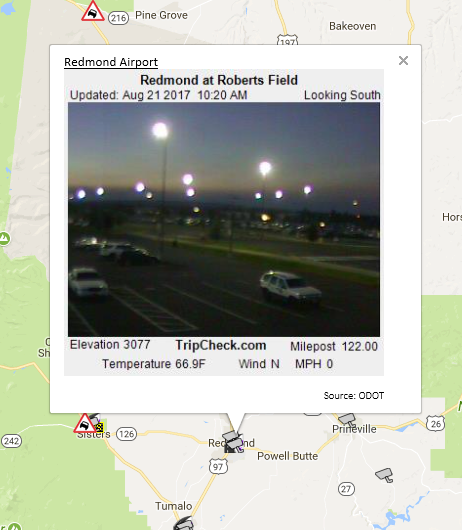 The following CCTV image from Prineville, Oregon shows car headlights and streetlights on, although shadows are still apparent on the roadway. A CCTV image from Redmond, taken at about the same time, shows a darker scene. 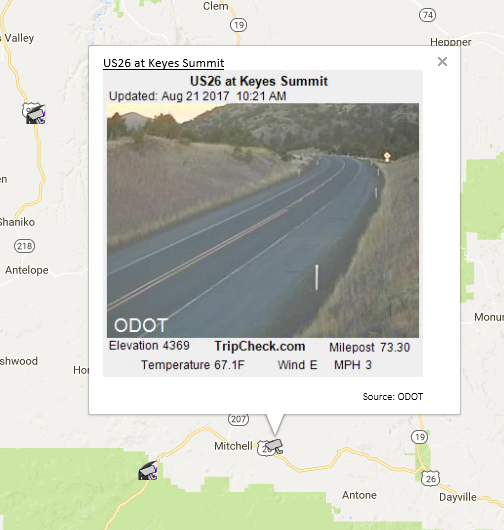 And this image from US 26 at Keyes Summit appears as if it was taken at sundown when it was taken at 10:21 AM. 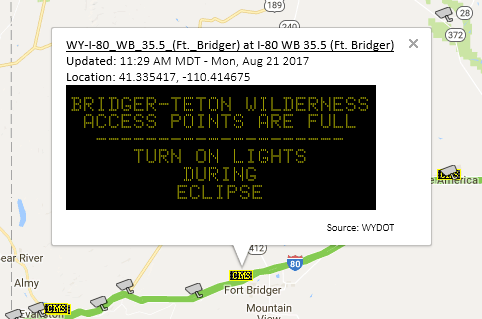 After the eclipse passed through these areas, there was a migration of travelers, presumably back to their home towns. 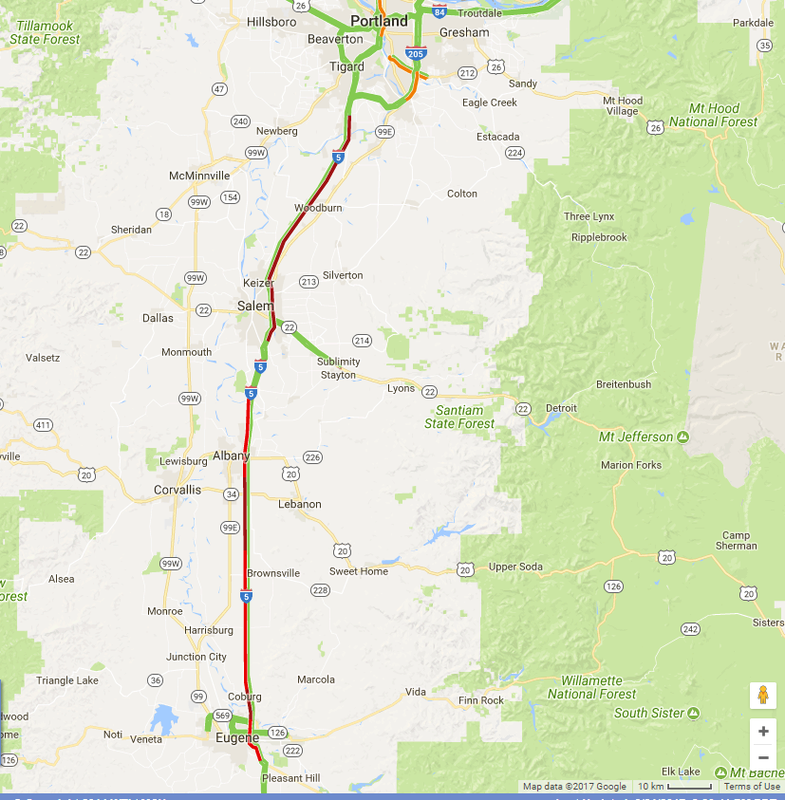 This could be seen in the Google Traffic layer in Wyoming, Idaho, Oregon and Washington in the Western States Region, as well as in areas further east. 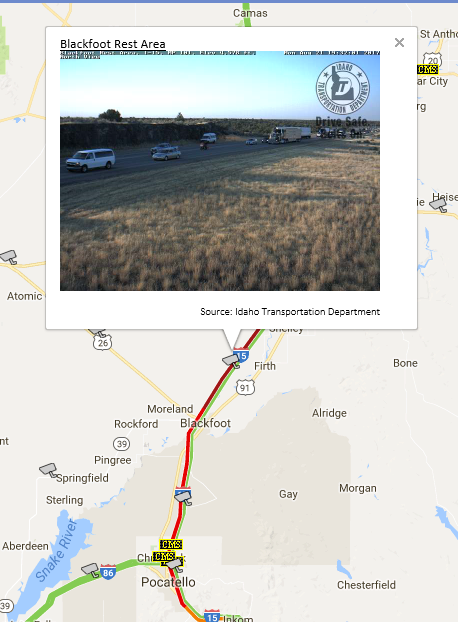 Traffic appeared to be slowed or backed up all the way between Portland and Eugene, Oregon. 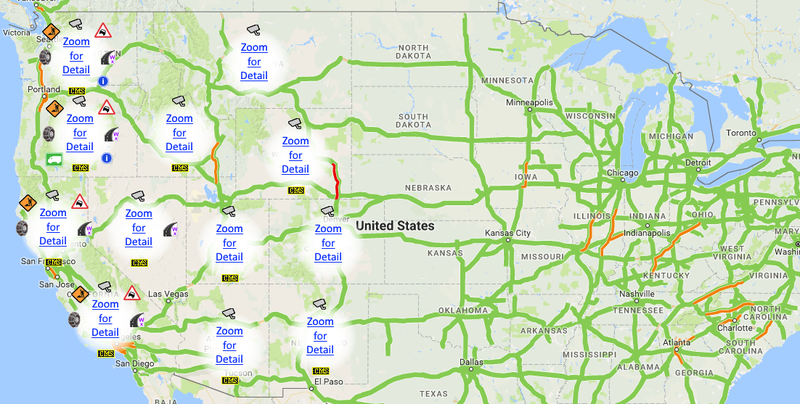 And, traffic was slowed similarly between Casper, Wyoming, and Denver, Colorado. Some of the CCTV images showed this traffic. 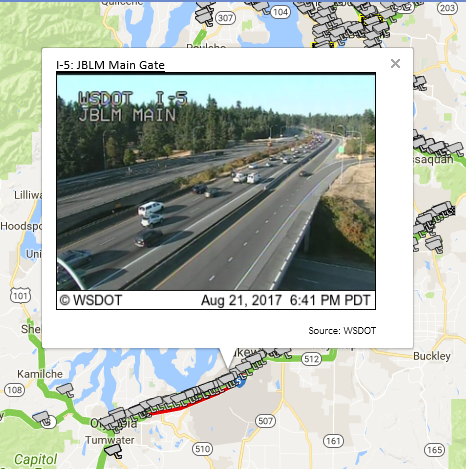 Notice that the traffic is in one direction along I-5 in Washington. Delay is apparent in this CCTV image from Idaho. 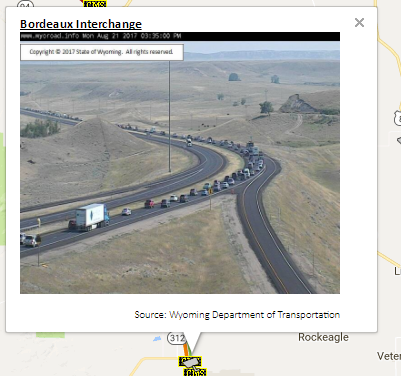 Traffic was backed up as far as the eye could see in Wyoming. 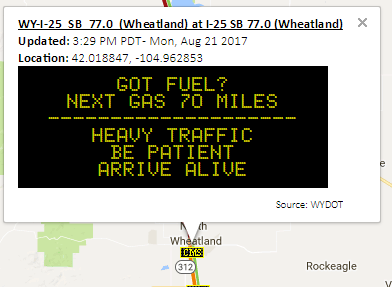 In fact, the messaging from Wyoming DOT appeared to become more severe as the day progressed. 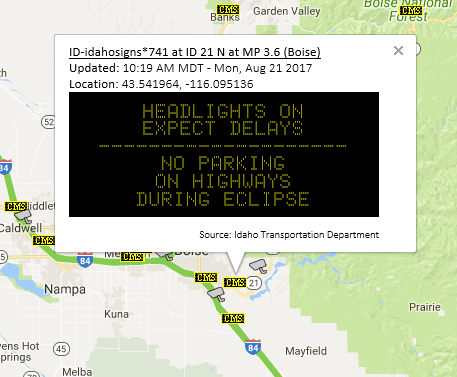 While the eclipse was a “special” event, the likes of which won’t occur in this area in the near future, fires, storms, winter weather and accidents can all have a significant impact on travel. 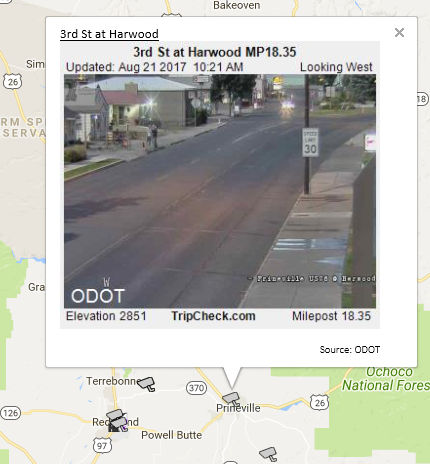 Be sure to check the One-Stop-Shop and OSS-Mobile to help plan safe trips!